The global community came under close scrutiny yesterday as world leaders assembled in New York for the annual UN General Assembly. What particularly stood out were the U.S. president’s alarming rejection of democratic values and his distorted and confrontational foreign policy objectives. In a speech reeking of tribalist nationalism, the president declared, “America is governed by Americans. 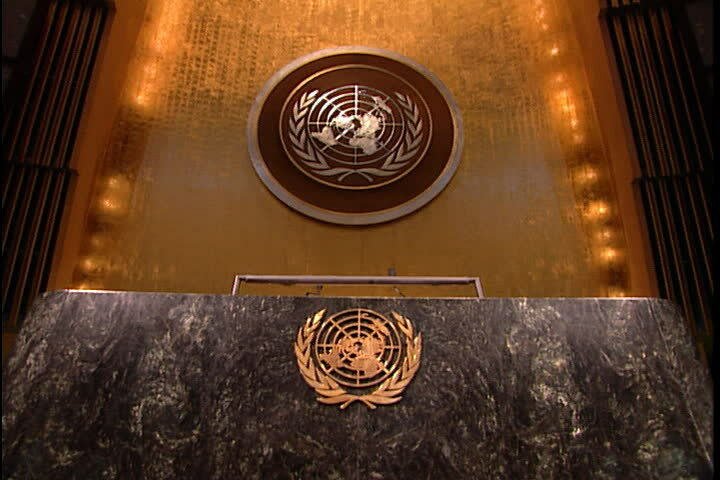 We reject the ideology of globalism and we embrace the doctrine of patriotism.” In essence, he made it clear to all that his administration vehemently opposes the very principles upon which the United Nations was founded. The most broadly covered moment in the speech, however, was the president’s boasting of his administration’s remarkable achievements since he took office and the spontaneous laughter that broke out in the chamber in response. Both the event itself and the manner in which it has been reported mirror the issues with the international community and the media approach to the president and the dark agenda he represents. Much can be said about the world leaders’ reaction to the offensive and dangerously irrational rhetoric of the U.S. president. Some, such as French President Emmanuel Macron, utilised their position to counter America’s divisive and confrontational message by asserting their commitment to the flourishing of the global community. “Nationalism always leads to defeat,” The French president declared, “If courage is lacking in the defense of fundamental principles, international order becomes fragile and this can lead as we have already seen twice, to global war. We saw that with our very own eyes.” Yet, by allowing themselves to break out in laughter, the leaders effectively downplayed the severity of the president’s words. By treating the president as a foolish, laughable clown, the international community risks both eliciting more irrational spite out of a man who’s known for his vindictive character, as well as numbing the public to the imminent danger of his actions. The chamber’s reaction to America’s manifesto of nationalism was not the sole issue, however. Shortly after the incident, the internet flooded with headlines about the president’s laughable remarks and the chuckles that roared across the assembly hall. Such coverage of the events only enlivens the charade around a man who, more than anything, yearns for attention, and ensures that the focus remains solely on him. By conducting incessant and tabloid-like reporting on the president, the media stifles important questions, such as, what is he a symptom of? Who are the figures and institutions that craft the policy he promotes? The media’s (and our) obsession with the president leads us to forget that he is but a front man. Yes, there is no doubt that his character impacts the manner in which policy is presented and that his personal interests shape the way in which he handles world leaders and affairs, but he is ultimately an echo of a much bigger group of people. He represents a wider agenda, both in government and in the public. His words yesterday were not only targeted at the world leaders across from him but at a voter base at home who are easily manipulated by such nativist rhetoric. Placing all of the attention on the president thus does not only feed into the mania around him and endows the reality TV star with more power, but also distracts us from the broader issues surrounding him. It makes him an easy target to blame and simultaneously satiates our thirst for scandal and outrage and, let’s face it… entertainment. What would an appropriate coverage of an incident like yesterday’s look like, then? How is the media to report on the actions of such unscrupulous leaders? And what about us? Have we morphed into passive consumers of this international soap opera? It seems that the solution to the condition we are in must emerge from both media outlets, which must overcome their financial interest in generating headlines and develop a more responsible reporting culture, as well as from us, the readers, who must engage in constant introspection about what motivates our engagement with the news and what role do our consumption habits play in shaping it.